The prestigious harpist Cristina Braga brings us another of her great works. Samba, Jazz and Love is her new album where she demonstrates, one more time, her talent and commitment to Brazilian music. She puts music’s soul into her harp interpretation, giving the world jazz scene a wonderful musical contribution. This time, she and her band reach a great point of passionate instrumental playing of samba and jazz, especially when the vibraphone and her harp interchange notes with a profound background composed of a double bass and a trumpet. 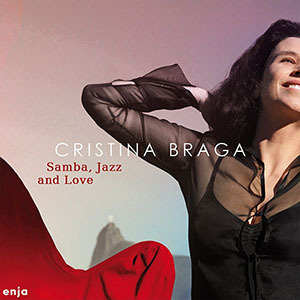 Cristina Braga is an innovative musician because she has taken the difficult road to play an instrument that is unconventional for jazz and bossanova, and this is what makes her work more exciting. In this album, she plays the harp as if it was made originally for jazz music. She sounds very fresh and natural giving us poignant harp solos like those produced from any string instrument. This harpist knows how to play with technique. Her studies, experiences and awards have been related to classical and folkloric music for many years. 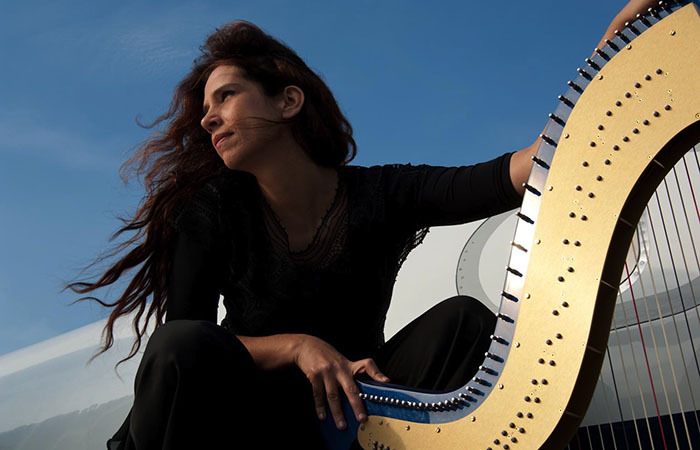 The opportunity to play with a variety of musicians and bands like Marisa Monte, Lenine and Nando Reis, and Andy Summer (guitarist of The Police) have given her the chance to explore the rich language of traditional and modern rhythms. The quality in Braga’s work is the great mixture of sophisticated and marvelous elements like her velvety and sultry voice, her harp’s style, and the sound of each of her band musicians. This mixture becomes a soft whisper, almost a murmur that you will not want to stop listening to. Tracks: 1. Love Parfait, 2. O Barquinho, 3. Samba E Amor, 4. Desafinado, 5. Rio Paraiso, 6. Triste De Quem, 7. Só Danço Samba, 8. Preciso Me Encontrar, 9. Canta Mais, 10. Chovendo Na Roseira, 11. Desde Que O Samba É Samba. Personnel: Cristina Braga: voice, harp; Ricardo Medeiros: doublebass; Jessé Sadoc: trumpet, flugelhorn; Joca Moraes: alfaia drums, tambourin; Arthur Dutra: vibraphone.